The Trump administration will begin cracking down on foreign investment in sensitive American industries like technology and telecommunications, saying on Wednesday that it will start using new powers that give the United States greater authority to review and block Chinese and other international transactions that pose a threat to national security. The expanded review system, which Congress passed into law this summer, will apply to a wide array of foreign transactions but is aimed primarily at China, which the administration has accused of trying to gain an unfair edge by acquiring valuable American technology through investments or partnerships with United States companies. “These temporary regulations address specific risks to U.S. critical technology while informing the development of final regulations that will fully implement Firrma,” Steven Mnuchin, the Treasury secretary, said, referring to the Foreign Investment Risk Review Modernization Act. 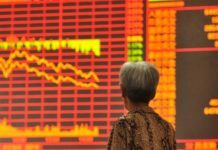 The toughened investment regime is the latest attempt by President Trump to punish Beijing over its trade practices, including cyberespionage and a pattern of pressuring American technology companies doing business in China to hand over valuable trade secrets. It comes on top of tariffs that the United States has placed on $250 billion worth of Chinese imports, and is likely to exacerbate tensions between the world’s two largest economic powers, which have engaged in increasingly harsh exchanges about each other’s policy and approach. Chinese officials canceled a trip to Washington late last month to resume trade talks after Mr. Trump moved ahead with a round of tariffs on $200 billion worth of Chinese goods. On Monday, China’s foreign minister, Wang Yi, chided the Trump administration for “ceaselessly elevating” trade tensions and “casting a shadow” over relations between the two countries. Secretary of State Mike Pompeo, who was visiting Beijing for talks, said the United States had a “fundamental disagreement” with China on the issues that it raised. The administration’s trade measures have already chilled Chinese investment in the United States, which fell more than 90 percent from the first half of 2017 to the first half of 2018, to its lowest level in seven years, according to tracking by Rhodium Group. The Treasury Department said on Wednesday morning that it would begin a pilot program using new powers under the Foreign Investment Risk Review Modernization Act. 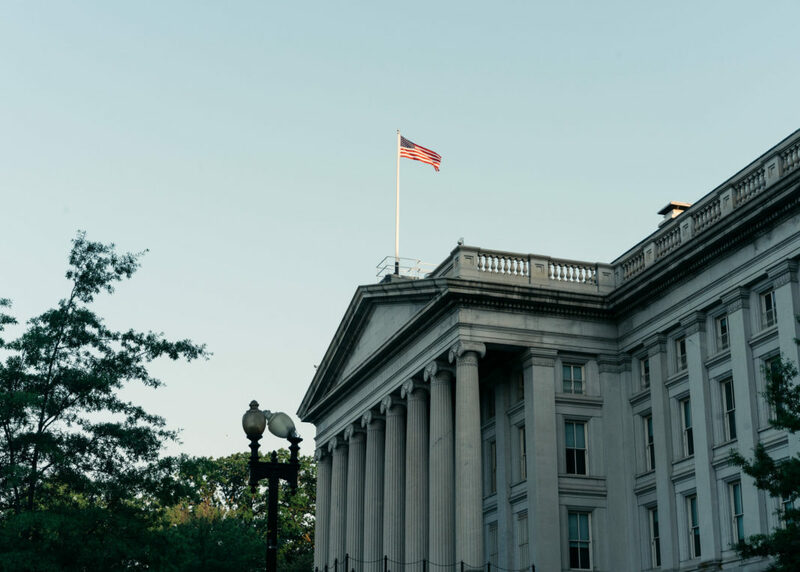 The law expanded the purview of the Committee on Foreign Investment in the United States, or Cfius, an interagency panel led by the Treasury Department that can block acquisitions on national security grounds, and the department is moving swiftly to take advantage of its new tools. Until now, only takeovers and controlling stakes in American companies could be reviewed. Under the pilot program, Cfius will be able to review a much wider array of deals, including joint ventures and smaller investments by foreigners in American businesses that make technology deemed critical for national security reasons. Beginning on Nov. 10, the panel can review — and block — a deal if a foreign investor takes a stake in a business that makes sensitive technology and if that investor gains potential access to nonpublic technical information or can engage in substantial decision-making over the company, such as getting a board seat. The expanded review system will apply to businesses that design or produce technology related to 27 industries, including telecommunications, semiconductors and computers. Foreign investors will be required to submit declarations notifying the panel of their intentions when making a bid. If they fail to do so, they could be assessed a fine up to the value of the transaction. In a briefing with reporters on Tuesday evening, senior Treasury Department officials emphasized that the program would not be focused on China and would apply to any foreign investors. But the White House has been looking for ways to prevent China from harnessing American technology in critical sectors, such as the next generation of wireless technology known as 5G, and has taken aim at China’s plan to dominate cutting-edge industries, known as Made in China 2025. According to data from Public Citizen, a liberal advocacy group and think tank, 56 percent of Chinese investments in the United States last year were in industries that Beijing defines as “strategic,” such as aviation, biotechnology and new-energy vehicles — up from 25 percent in 2016. The law, which passed with bipartisan support, gave the Treasury Department 18 months to develop rules to implement the panel’s new powers, but the program announced on Wednesday will allow the law’s provisions to be put in place more quickly. The panel has already stepped up its scrutiny of deals under the Trump administration as the president looks to employ a more protectionist “America First” agenda. Earlier this year, Cfius scuttled a proposed takeover of Qualcomm, the San Diego-based chip maker, by Broadcom, a rival from Singapore, over concerns that it would pose a national security risk by depriving the United States of a telecom leader. It also refused to approve a $1.2 billion deal between MoneyGram, a money transfer company based in Dallas, and Ant Financial, a Chinese electronic payments company. Republicans and Democrats in Congress have been generally united in their desire to crack down on Chinese theft of American intellectual property. At a Senate hearing on homeland security on Wednesday, Senator Rand Paul, Republican of Kentucky, called on Cfius to review Broadcom’s proposed $18.9 billion acquisition of CA Technologies. He noted that the network systems of CA Technologies are deeply embedded in critical infrastructure facilities and national security agencies. Nicole Lamb-Hale, head of the Cfius advisory practice at the risk management firm Kroll, said that the global nature of the new pilot program could have a chilling effect on businesses seeking foreign investment and that it would create additional hurdles for transactions. However, she acknowledged, with recent reports that Chinese spies have been using chips to infiltrate American companies, there is greater urgency to protect American intellectual property. “I think that really brings into focus the concern that we are at a point where if we don’t do something very quickly, we’re going to be in a position where from a national security standpoint we’re at risk,” Ms. Lamb-Hale, who previously handled Cfius matters at the Department of Commerce. Mr. Trump was considering a more draconian plan that would have imposed sweeping investment restrictions on China last summer, but instead decided to support the proposal to grant Cfius more power. That decision was seen as a win for Mr. Mnuchin, who has been working behind the scenes to defuse the trade dispute. But Mr. Mnuchin has also been showing signs of being less accommodating recently. 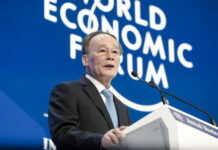 In an interview with The Financial Times that was published on Wednesday, he said he was closely monitoring China’s currency and noted that the renminbi had been falling this year. The administration has been concerned that China has been manipulating its currency to mitigate the effects of the tariffs, and he said the issue of competitive devaluations should be part of the broader trade negotiations. Mr. Mnuchin is traveling this week to the annual meeting of the World Bank and the International Monetary Fund in Bali, Indonesia, where he will have the chance to explain the new changes to his counterparts from countries around the world in person.